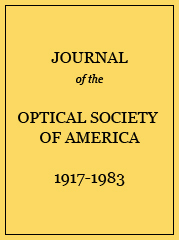 This paper is a continuation of RP1209 and describes the cooperative work done by the Association of American Railroads Signal Section, Corning Glass Works, and the National Bureau of Standards, leading to the formulation of the AAR Signal Section specifications for signal colors and glasses. The previous paper defined the luminous transmission scale used by the signal engineers and glass manufacturers. The present paper describes the glasses selected by these engineers to define the limits of acceptable chromaticities afforded by these glasses when combined with kerosene or electric illuminant. The spectral transmissions of the glasses are given, together with the luminous transmissions and chromaticities for the specified illuminants. The photometric and colorimetric parts of the AAR Signal Section three-part specifications are illustrated, and the reasons given for the choice of tolerances both on the acceptable signal colors and on the glasses certified by the National Bureau of Standards as duplicates of the standard limit glasses. Various other data of interest are given, including the expression of the permissible chromaticities of signal colors in a uniform-chromaticity-scale coordinate system. Relation between values of TAAR and of T2360 which defines the luminous transmission scale used in the present AAR signal-glass specifications. Description of glasses selected by AAR Signal Section Committee VI as defining the chromaticity limits of railroad signal colors. a No chromaticity limit is needed. The dark limit glass is useful, however, in the photometry of red signal glassware. b Non-HR green No. 87 has been accepted as the blue limit for disk greens. c These chromaticity limits have little significance. The purple glass gives a dichromatic signal, and the ratio of red to blue (or total) light is the important criterion. d Green and purple limit glasses were not selected. e In use, one side of each disk is “depolished;” no other restrictions are placed on the luminous transmissions. Spectral transmissions, Tλ, of glasses selected by AAR Signal Section Committee VI as denning the chromaticity limits of railroad signal colors. Luminous transmissions, Tw, ratios of red to total luminous transmission, Tr/Tw, and chromaticity coordinates, x, y, z, for glasses selected by AAR Signal Section Committee VI as defining the chromaticity limits of railroad signal colors. Maximum chromaticity deviations permitted for glasses certified as duplicates of standard limit glasses for railroad signaling, AAR Signal Section Specifications 69-40 and 59-39. * This tolerance is given in Part A of the signal glass specifications. In effect it limits the tolerances of ±0.0008 in x and y for the dark limit glasses, as shown in Fig. 10. Maximum deviations of luminous transmission on the AAR scale, TAAR, and of red to total luminous transmission, Tr/Tw, both for 2360°K, permitted for glasses certified as duplicates of standard limit glasses for railroad signaling, AAR Signal Section Specifications 69-40 and 59-39. * For blue and purple glasses only. Minimum values of luminous transmission on the AAR scale, TAAR.